Once she hunted antelope. 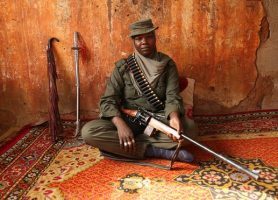 Now she hunts Boko Haram. In Afghanistan, this Wushu trainer teaches women martial arts - to compete, and to defend themselves. 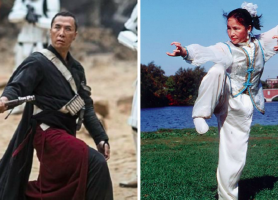 Donnie Yen is cool, but his mother is MUCH cooler - she started the first Wushu school in the United States, and is one of the grandmasters of the art form. 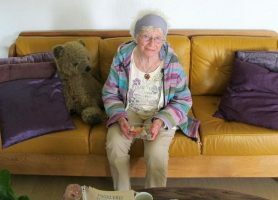 When she was a teen, this now-90-year-old woman would seduce and kill Nazis. Now she plays a mean game of Scrabble. 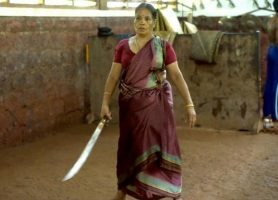 Meenakshi has been practicing kalaripayattu for decades, and now teaches it to a younger generation -- including increasing numbers of girls. Married off at age thirteen, Neetu has since taken up wrestling, winning a bronze medal in the 2015 National Games of India. She's currently aiming for the 2020 Olympics. 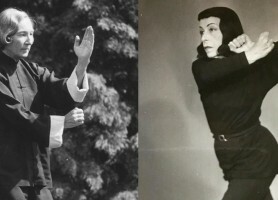 Prior to the "kung fu craze" of the '70s, two women were already spreading tai chi in Europe and America. Practicing martial arts since she was 12, Al Hamrani now runs her own gym, Flagboxing (which is an acronym for Fight Like a Girl Boxing). When asked how she got started with martial arts, she explained "I used to do ballet ... but I didn't like it." When her brother was killed, this pharaoh took her time cooking up revenge. When an unrequited admirer began threatening her, this early fresco painter became one of history's first warrior artists. The first Japanese woman to go to college didn't have a choice. But the experience changed her - and she changed Japan in return.